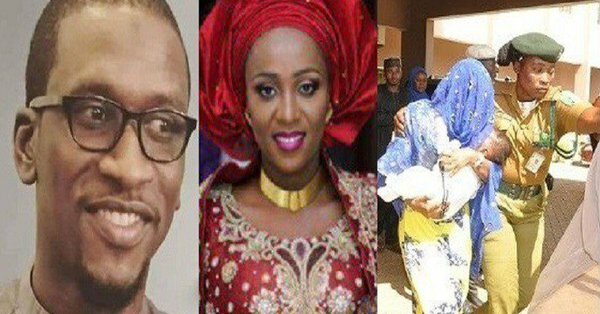 Alleged husband killer Maryam Sanda,has told an FCT High Court that she had no case to answer. Her Late hubby Bello was a nephew of former PDP Chairman, Alhaji Bello Halliru Muhammad. At the resumed hearing, her counsel, Olusegun Jolaawo, in his no-case submission, told the court that the prosecution had not made a prima facie case against his client to warrant her to defend herself. Why do i feel like this woman will beat this case. I hope not, she's guilty as hell. Stellz, there's no big deal. Some lawyers use this as delay tactics to stall, especially when they know the prosecution has made out a good case and they have a weak defence. In our criminal jurisprudence, in criminal proceedings the prosecution opens its and calls witnesses to testify in order to sustain the charge against the defendant( the accused). When it is done with its witnesses, the prosecution rests by closing its case. The defendant is expected to open his/her defence by testifying and calling his/her witnesses if any. At the end of the defence, counsel from both sides file written addresses and replies, where applicable, after adoption of said addresses, the court will adjourn for judgment which will be delivered within 3 months. However, after the prosecution closes its case, if the defence is of the opinion that no prima facie case (incriminating evidence) has been made out against the defendant, the defence counsel makes a no case submission, which is essence means that since the prosecution's evidence doesn't link the defendant in anyway with the offence alleged, there's no need to defend what has not been proved. So the court ought to discharge and acquit the defendant. According to the Administration of criminal justice Act 2015, the court can on its own (suo moto) hold that the defendant has no case to answer, after the prosecution closes its case. This, however, is rarely done by the courts in murder cases. A defence lawyer can take advantage of a no case submission to buy time because instead of the defence to open its case, the court must first rule on the no case submission. If the court upholds the no case submission, the defendant will be discharged but if the court overrules the submission, the defendant will be called to open his/her defence. No normal person will be in a hurry to rush to the gallows, so stalling on the part of the defence is expected. The ACJA 2015 has even helped to accelerate criminal proceedings. Criminal cases, especially murder cases, used to drag on for years. I remember a case that was pending at the high court for about 9 years. With this Act, a lot of delay tactics has been whittled down. Thank you for this piece of information . Dear Ronalda many thanks for the explanation. Anyone who kills intentionally shud be killed. I was in court yesterday when this matter came up. I had no idea she was the one because she covered her enter face with her Hijab and she doesn't look like her mum and brother. No wonder there were pressmen in court. I remember wondering what the 4 of them had done. It is well. The Judge is a very impartial Judge so i can trust he'll give a sound judgement devoid of sentiment.